In the Agile Performer Index, goetzpartners and the NEOMA Business School clearly demonstrate the correlation between agility and entrepreneurial success. The more agile the company, the better it performs financially. The purpose of the study was to investigate what agility can really do for organizations. Is it just a temporary trend? With the right methodology, can agility deliver sustainable success? 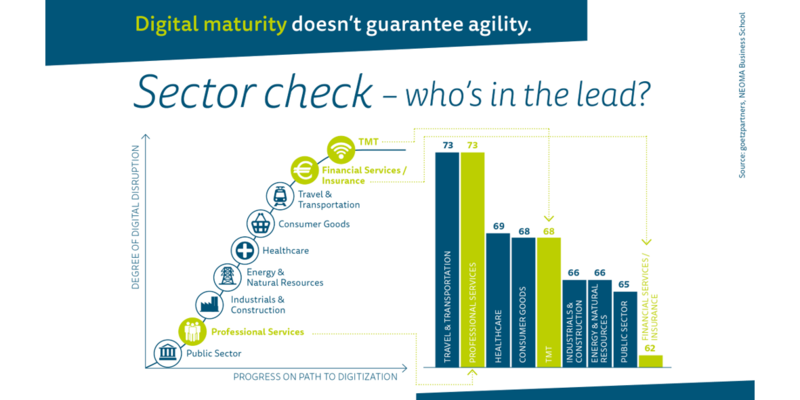 Resulting from a broad survey among 285 leading European companies, the Agile Performer Index documents that agility programs are a suitable way for organizations to achieve lasting performance and competitive advantage. CxOs rate their company’s agility higher than do middle managers. Download the full study free of charge now!